Old Testament - 2 Kings 8 begins with a wonderful example of God's "perfect timing." It was no coincidence that the king was talking with Gehazi about the time Elisha brought a boy back to life when the woman from Shunem walked in with her son! 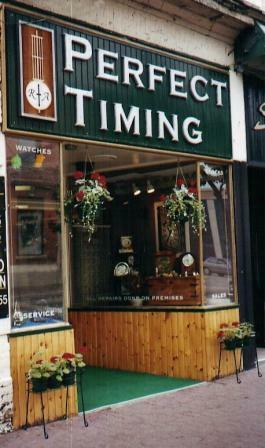 Have you ever had the experience of God's "perfect timing" in your life? My hunch is that you have - even if you haven't realized it. I have had some experiences where I have consciously realized that God's perfect timing was at work - and sometimes I've quickly said the prayer under my breath of "thank you God!" But, I also now can look back on my life and now see so many instances of God's perfect timing. Hindsight is 20/20. When is the last time you experienced God's perfect timing? Think it could have been today - even if you don't realize it right now? 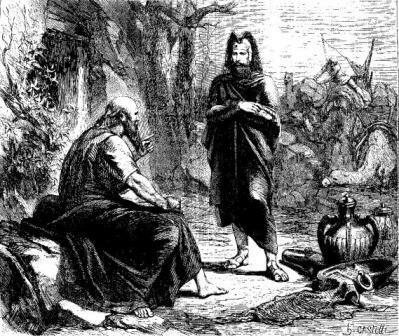 Elisha's interaction with Hazael demonstrates Elisha was certainly a prophet of God's! Verses 11 & 12 are powerful - "Elisha stared at Hazael with a fixed gaze until Hazael became uneasy. Then the man of God started weeping. "What's the matter, my lord?" Hazael asked him. Elisha replied, "I know the terrible things you will do to the people of Israel. You will burn their fortified cities, kill their young men, dash their children to the ground, and rip open their pregnant women!" New Testament - Today in Acts 16 we will read about the earthquake that comes while Paul and Silas are imprisoned. 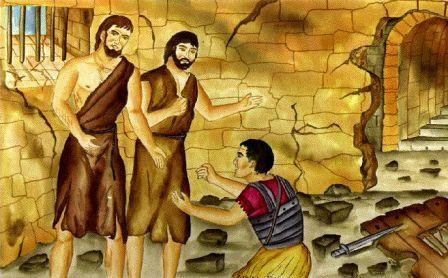 As a trembling jailer comes to Paul and Silas we will read this in verses 30 through 34 – “"Sirs, what must I do to be saved?" They replied, "Believe in the Lord Jesus, and you will be saved—you and your household." Then they spoke the word of the Lord to him and to all the others in his house. At that hour of the night the jailer took them and washed their wounds; then immediately he and all his family were baptized. The jailer brought them into his house and set a meal before them; he was filled with joy because he had come to believe in God—he and his whole family.” This is a wonderful look at how many of us become and grow as Christians! We first hear the Good News of how Jesus came to this earth fully human and fully God – how he lived a sinless life and died on the cross for our sins – and how he rose from the dead and will come again. Then, through grace, we believe! We simply believe. From there we learn more about God from others and through studying his Word, the Bible – we could call this discipleship. Then comes a decision to be baptized – to publicly profess our faith in Jesus as our Savior. Then comes living a joyful life of community with others. Now – yes – this is a very abbreviated example of how one becomes and grows as a Christian. :) And our various denominations will probably put the order of how all this happens in various ways. But, can you see similarities in your own faith journey with the jailer’s conversion, baptism, and growth as a Christian? Do you remember first hearing the Good News of Jesus’ life, death, and resurrection? Do you remember the day you first Believed? Do you remember learning more about the Word, the Bible? (hopefully you’ll remember this year’s One Year Bible journey! :) Do you remember being baptized (or maybe you’ll have photos or stories from your very young years)? Do you now joyfully live life in community with other Christians through your local church? If you haven’t yet experienced all of these things, will you pray to God asking him for the experiences He has planned for you? And, when others in your life come to you like the jailer, asking “What must I do to be saved?” are you prepared to give them the joyful answer? Psalms - Psalm 143 verse 8 stood out to me today - "Let me hear of your unfailing love to me in the morning, for I am trusting you. Show me where to walk, for I have come to you in prayer." I read somewhere before - I think it was Bruce Wilkinson's book "Secrets of the Vine" - that many great men and women of our Christian faith connect with God in the morning through prayer, reading the Bible, and other quiet time activities. Bruce even suggested that this is the preferential way to go - to start your day by spending time with God in the morning, rather than at night. Because he said this would then transform the rest of your day - in terms of being more conscientious of our relationship with God. This does make sense to me - though, I have never really been a morning person. Even with this One Year Bible readings & blog - I do it all at night. But - I like what this Psalmist says - "Let me hear of your unfailing love to me in the morning." And it makes me want to connect with God in some way in the morning - through prayer as the Psalmist goes on to say makes sense. 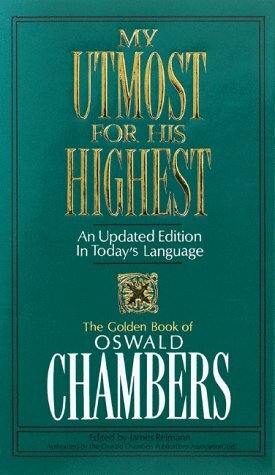 Actually - one thing I do in the morning is read a page or two from Oswald Chambers "My Utmost For His Highest." And I am thankful that I do this in the morning. How about you? Do you have some way that you connect with God in the morning? Are you able in some way to hear of God's unfailing love for you in the morning? I do all my bible reading, meditation, prayer journaling, etc. in the mornings. Have done so for a couple of years now. I was born June 25th 1986. That's why Biblical references like this are so important to me.